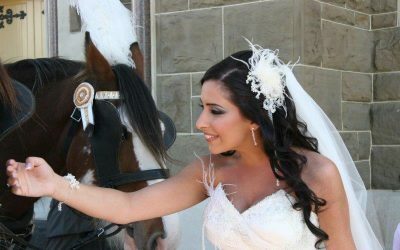 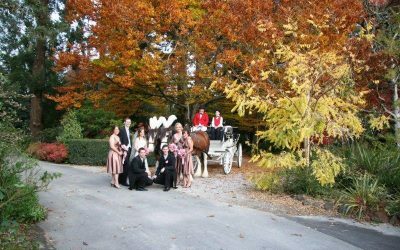 Make your dreams come true and be transported to your wedding in an elegant horse drawn “Wedding” Carriage. 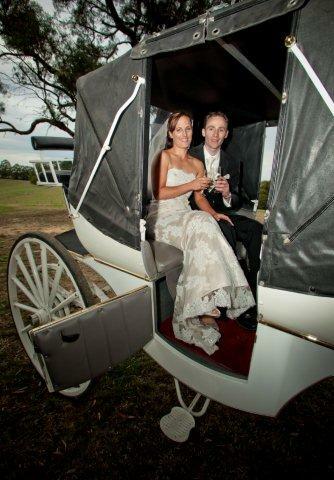 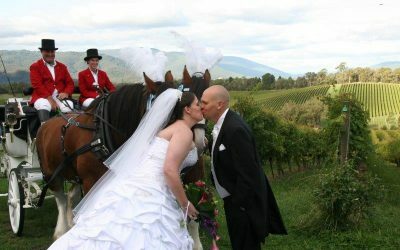 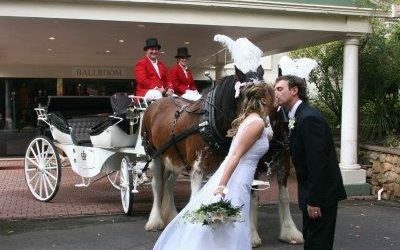 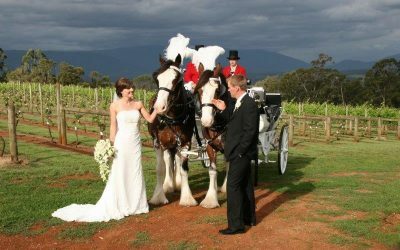 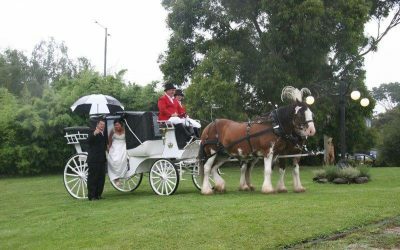 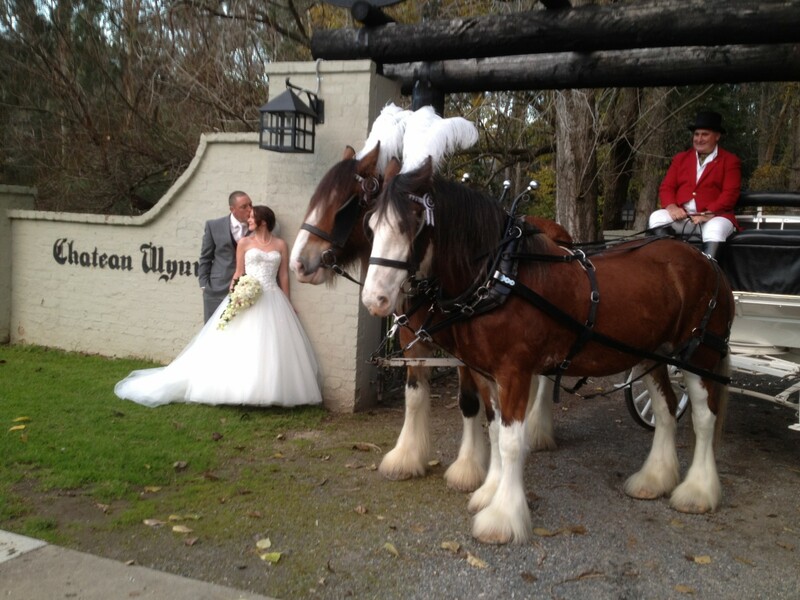 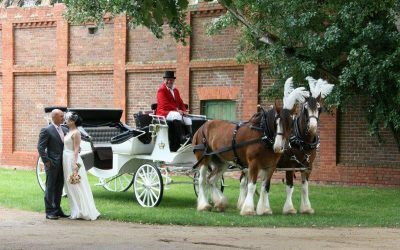 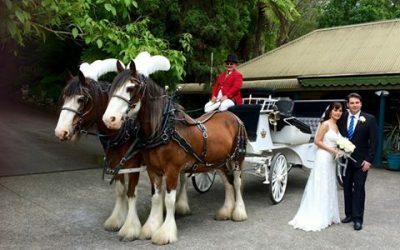 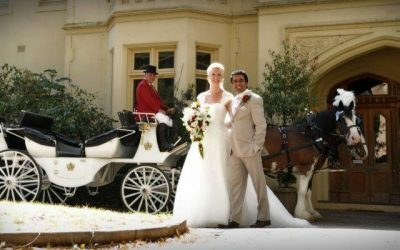 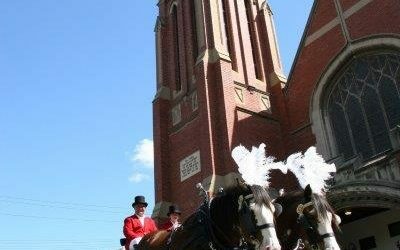 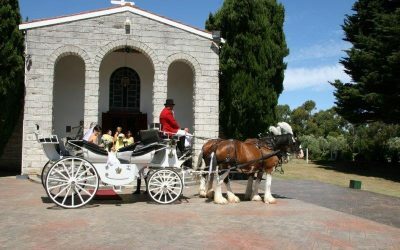 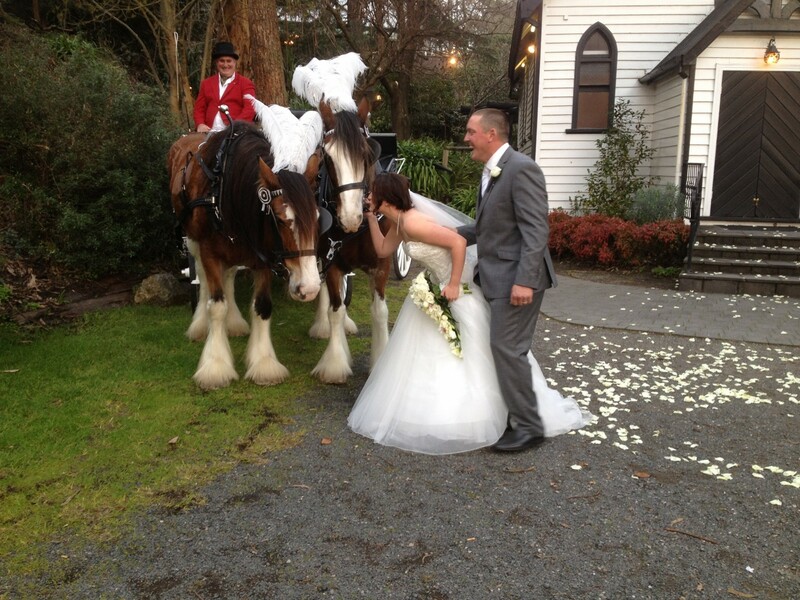 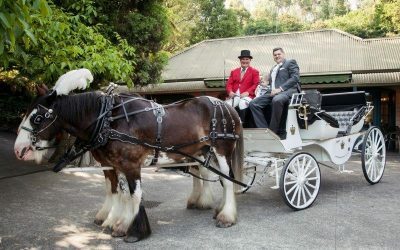 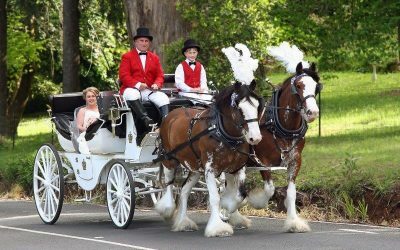 Enter your Wedding in our white carriage with a pair of matching bay Clydesdale horses, driver and foot person. 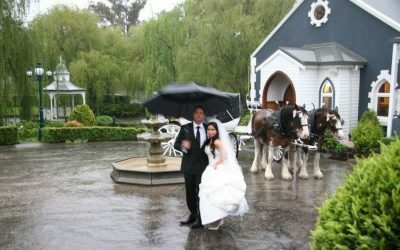 The carriage is fully enclosable for bad weather. 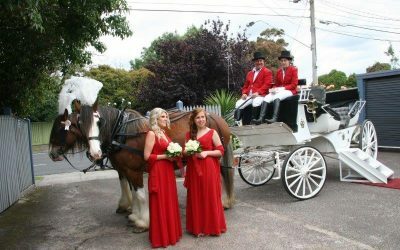 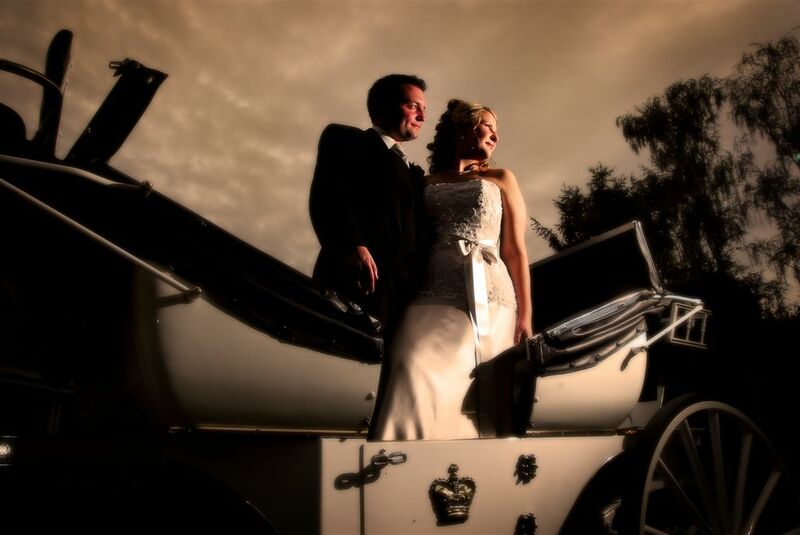 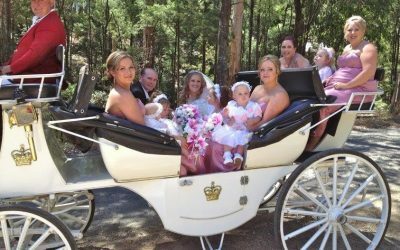 Our stunning white horse drawn carriage will hold 6 people very comfortably inside and if the weather is fine 2 more people can sit on the back. 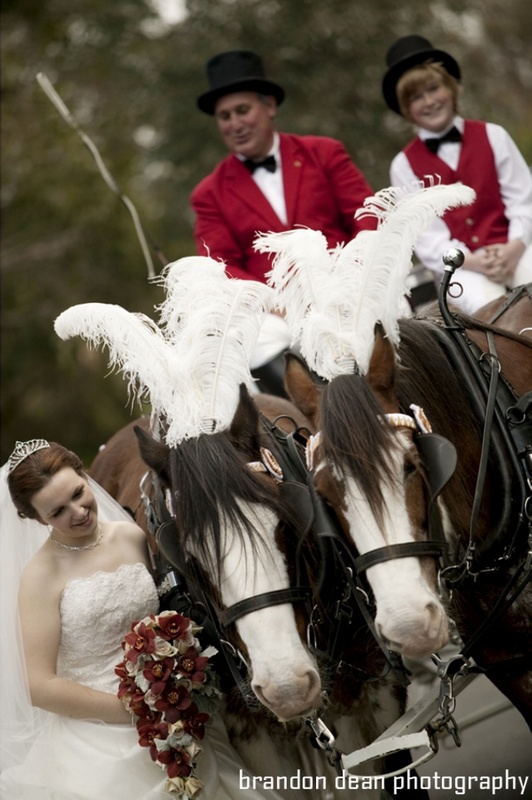 The horses come adorned with white plumage if it is not raining. 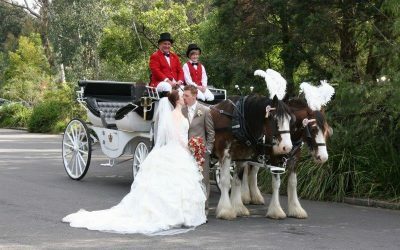 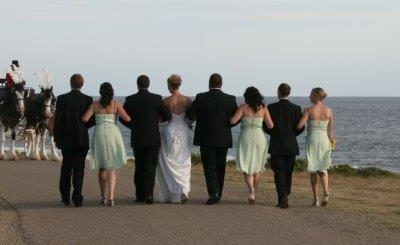 With our wedding transport service, we will stay for the wedding ceremony and for all your wedding photos after. 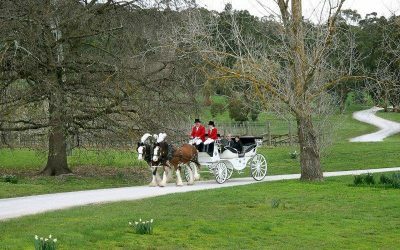 We allow up to 3 kilometers for travel. 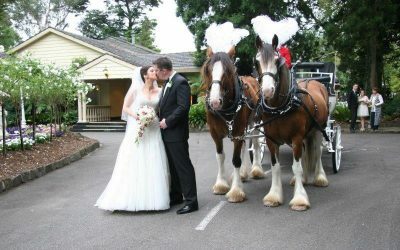 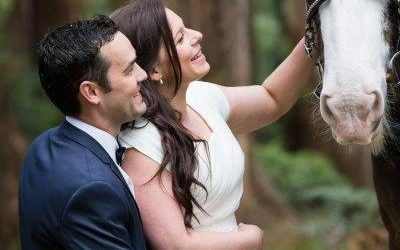 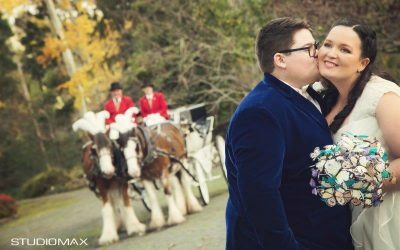 Our carriages, teamed with our eye-catching Clydesdales are sure to create stunning photo opportunities for you and your guests, so you can relive your treasured moments every time you view your wedding photos and videos.